Are you in dire need of getting your desired wedding gown? 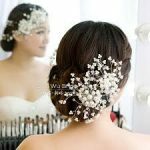 Anyone who has gone through preparations for a wedding can attest to the fact that it is tedious. Finally getting your desired wedding gown sometimes takes time with lots of strategic searching. While trying to ensure all goes well, one vital detail you must not lose sight of is your wedding gown. Where do I go for my wedding gown? Do I shop online or go to a physical store? Do I buy, borrow or rent my wedding gown? How fat is your budget? How much are you willing to spend in getting your desired wedding gown? When searching for your desired wedding gown, there are normally a lot of options you can consider to make your search an easy one. 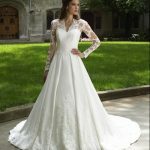 If you find yourself in a dilemma on how to get your desired wedding gown, I believe the very few tips in this article should make it a lot easier for you to get it. When deciding on the type of wedding gown to buy, you need to decide what exactly you want. I would say that the options available are pretty few but we will elaborate on them. There are usually a lot of shops and stores where wedding gowns are sold and these gowns come in various sizes and styles. So, if you have made up your mind to get your desired wedding gown by buying one then going shopping in one of these shops is ideal for you. Shopping for a wedding gown is exciting as you would have the opportunity of seeing so many designs and selecting what you want. Also bear it in mind that aside buying your desired wedding gown in a physical store, so many women also shop online for it. There are some women who would prefer buying their desired wedding gown online as long as they know their right sizes. So if buying your wedding gown is what you really want then you can either buy it in a physical store on in an online store. Would you believe that I had my desired wedding gown sewn? 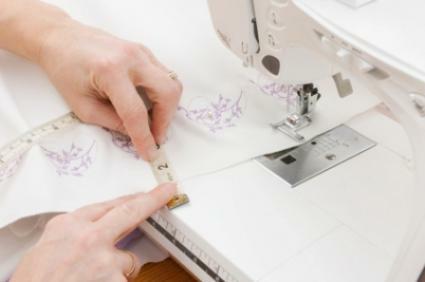 At times, you might not find the exact style or design you want so you may decide to sew yours. All you have to do is to look for a good designer to make it for you. Choose the style you want and let it be handmade for you. After all even the wedding gowns that are sold in shops are sewn, aren’t they? So, making your very own desired wedding gown is also not a bad idea especially if you are trying to save cost. It would be nice to know that making your own wedding gown might save you some money. I remember I didn’t really have so much money to get a wedding gown from a store so I found a good designer who made mine for me and it turned out so nice. There are people who are into the business of renting out wedding gowns so if you are on a tight budget, renting one is a nice one. You’ll be amazed to find that you might just be able to see one that suits your style. You rent and then return after your wedding. Do not feel bad doing this as a lot of ladies do this. There are some families that pass down wedding gowns from mother to daughter. If you do not mind, you can just tweak it a bit by adding some adjustments and it should look like new. These are the various options a soon to be bride has in getting her desired wedding gown. Which of these options would you opt for?